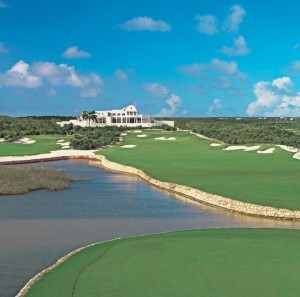 Opened in 2011, the Caribbean’s newest marquee course curls along rugged bluffs near the popular tourist town of Isabela on Puerto Rico’s northwest coast. Native grasses, sand dunes and craggy cliffs all come into play at a wonderfully natural layout designed as the centrepiece of theCosta Isabela resort and luxury housing community. 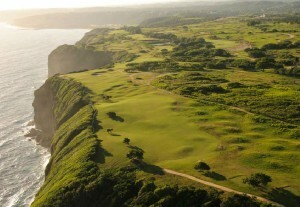 Architect David Pfaff skillfully flows one spectacular hole into the next, but the best of all—and certainly the most thrilling—is the par-three 17th, demanding a heroic 200-yard tee shot over the crashing ocean to a cliff-top green. This Robert Trent Jones Jr. design at posh Four Seasons Resort Nevis climbs the scenic slopes of Mount Nevis, a dormant volcano rising 3,232 feet from the jungle floor. But distracted golfers will suffer the consequences at a layout that demands steely focus on every hole. The highlight is easily the par-five 15th, the highest point on Nevis‘s only course, where the carry over a chasm from the back tee is a gargantuan 240 yards—and the solace for failure is the island’s best view of the turquoise Caribbean Sea. 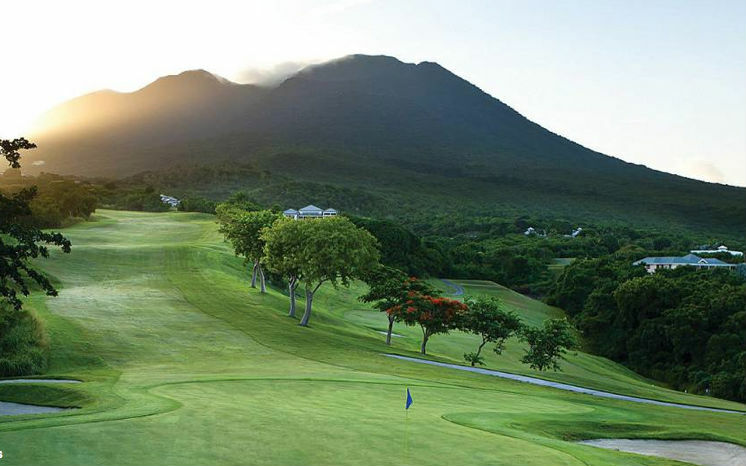 Mount Nevis, a dormant volcano, looms over the Four Seasons Resort Nevis Golf Course.